Jindilli is one of several words used by Indigenous Australians, to describe the local Macadamia nut. It was chosen as the name of our first property, purchased back in 2010. Jindilli’s farming operations are core to our business. Over the last 4 years, the Roy family have invested in 2 established orchards & an adjoining green-field site in Northern NSW, near Byron Bay. Our newest farming development is located in Queensland, just south of Maryborough. We have purchased over 100 hectares of prime agricultural land with ample water, which will be developed into a highly productive 24,000 tree plantation. Land preparations are complete and planting commenced in early 2015. As farmers, we strongly believe in the use of sustainable and environmentally sensitive farming practices. We are meticulous in the care of our orchards, to ensure the health and productivity of our land for future generations. Jindilli Farms and our partners, also manage orchards on behalf of investors. We plan to add additional orchard production to the group by leasing orchards in the main growing regions. We have an experienced farm management team and offer a diverse range of management services, particularly assisting new growers entering the industry. 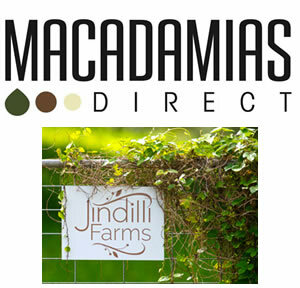 Production from our own farming entities, along with support from over 100 independent partners, provide the Jindilli group with a growing reliable source of macadamia supply – ensuring the business will continue to expand rapidly into the future.